CBCA’s new Arts + Industry Forum Series, in partnership with College of Arts & Media at CU Denver and the Denver Business Journal, is bringing together experts from various industry sectors with leaders in the creative community. These engaging discovery sessions bring together experts and stakeholders from a variety of arts and business sectors. By fostering a community dialogue, these forums expose our constituents to timely issues, opportunities and raises awareness on how arts interact and influence specific industries. 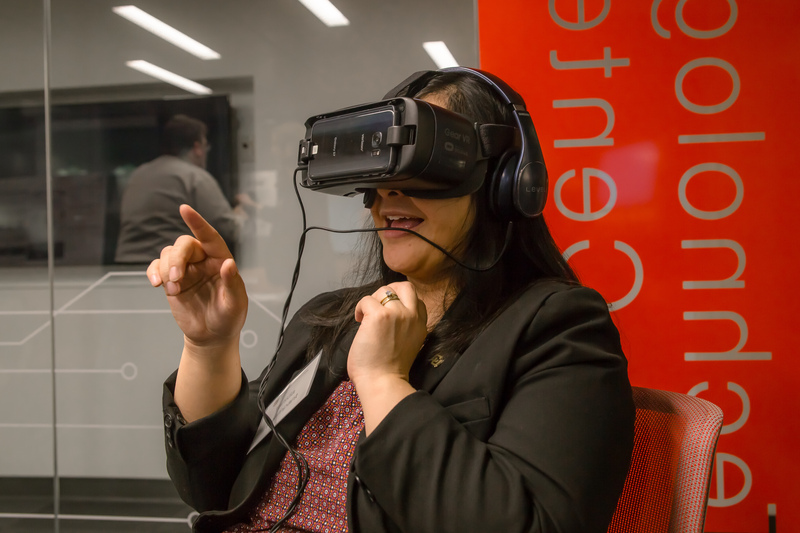 The inaugural forum will focus on the multifaceted intersection of Arts + Technology. With a distinguished career in arts higher education and cultural and creative industries, he has led significant transformation at LASALLE in response to the morphing cultural landscape in Southeast Asia. At LASALLE, he steered the development of the world’s first MA in Asian Art Histories and founded the collective, Asia-Pacific Network for Culture, Education and Research (ANCER) to facilitate cultural leadership and research in Southeast Asia. He is a founding member of the Global Design Faculty, involving five international universities exploring cross-cultural design pedagogies and practices. Venka lectures internationally on issues in contemporary art; arts higher education; festival cultures; and, cultural policy in Asia. He has given keynotes at the Central Academy of Fine Arts (China), the School of Art Institute of Chicago (USA), Musashino Arts University, Tokyo (Japan), Goldsmiths College (UK), South Asian University, Delhi (India), and Schulich School of Business, York University, Toronto (Canada). Prior to academia, Venka worked with various cultural organisations including the Esplanade-Theatres on the Bay, National Arts Council Singapore and Victorian Arts Centre, Melbourne; and on arts events such as WOMAD and the Singapore Arts Festival. Today, he serves as an expert on many professional and government committees and has chaired important panels on arts funding, cultural awards and those dedicated to developing youths. He remains one of the few arts leaders in Southeast Asia who is adept in working seamlessly across the visual arts, performing arts, design and education sectors. In 2013, he was awarded the Friend of MCCY Award (Ministry of Culture Community and Youth) for his service to arts and culture in Singapore. Venka is an award-winning author of numerous artist monographs and books on cultural policy and festivals. The Art of Sukumar Bose: Reflections on South and Southeast Asia (2013) was awarded 2015 ICAS Best Art Book Prize by the International Congress of Asian Scholars, Leiden University. 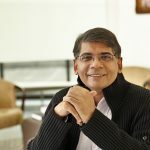 His books on culture include Making Visible the Invisible: Three Decades of the Singapore Arts Festival (2007) and Narratives: Notes on a Cultural Journey, Cultural Medallion Recipients, 1979-2002 (2002). His current research interest is in cultural and creative industries and arts higher education. (Japan); McNally Fellow, Singapore Ireland Fund-LASALLE (Ireland/Singapore) and Member, Association of International Art Critics (France). He is Member of the Strategy Group for the Higher Education Academy’s (UK) Global Teaching Excellence Awards. He is a Member of the International Advisory Council, Cambodian Living Arts (Cambodia/USA) and Member of Virginia Commonwealth University-QATAR’s School of the Arts Advisory Board (USA/QATAR). 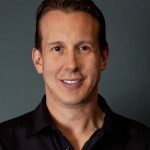 In 2005, David co-founded Four Winds Interactive with a vision for how digital technology would transform the way businesses communicate and engage with their customers and employees. With 6,000 clients and over 500,000 screens deployed, FWI’s software platform is driving visual communications to millions of people every day in airports, banks, corporate campuses, professional sports stadiums, hospitals, hotels, casinos, universities, manufacturing facilities and retail stores. 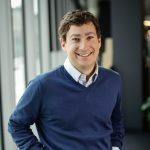 FWI was recently selected by Gartner as a Cool Vendor in Content Management and David has been recognized by Forbes Magazine’s list of most promising CEO’s under 35. Prior to FWI, David co-founded Sage Circle, a software and consulting services firm and was an Associate at Denver-based venture capital firm, Cornerstone Ventures. When not working, David enjoys golf, skiing, running and travel. John is Co-founder and CEO of Craftsy, which was recently acquired by NBCUniversal. Prior to Craftsy, John held executive roles at eBay and servicemagic.com. He joined eBay in 1999 as head of Strategy & BD for eBay Motors, growing it to a $14B global business. John later ran several other categories on eBay and served as CEO of Kruse International, a subsidiary of eBay Motors. Prior to eBay, John spent six years at General Electric, graduating from GE’s Financial Management program and Corporate Audit Staff. John received an MBA from The University of Michigan and a BA from Colgate University. 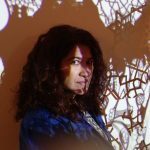 Laleh Mehran constructs elaborate artworks focused on complex intersections between politics, religion, and science. The progeny of Iranian scientists, Mehran’s relationship to these issues is necessarily complex; even more so given today's political climate in which certain views can have extreme consequences. These considerations influence her work to be as veiled as they are explicit, as personal as they are political and as critical as they are tolerant. Mehran received her MFA from Carnegie Mellon University in Electronic Time-Based Media. Her work has been shown individually and collaboratively in the USA and international venues including the ISEA (United Arab Emirates), National Taiwan Museum of Fine Arts (Taiwan), FILE (Brazil), ACT Festival (South Korea), Massachusetts Museum of Contemporary Art (Massachusetts), Carnegie Museum of Art (Pennsylvania), The Georgia Museum of Art (Georgia), The Andy Warhol Museum (Pennsylvania), Denver Art Museum (Colorado), Biennial of the Americas at the Museum of Contemporary Art Denver (Colorado), 404 International Festival of Art & Technology (Argentina), Next 5 Minutes 4 Tactical Media Festival (Netherlands), European Media Arts Festival (Germany), Boulder Museum of Contemporary Art (Colorado), Currents:The Santa Fe International New Media Festival (New Mexico), and the Pittsburgh Biennial (Pennsylvania). Mehran is Professor of Emergent Digital Practices at the University of Denver.